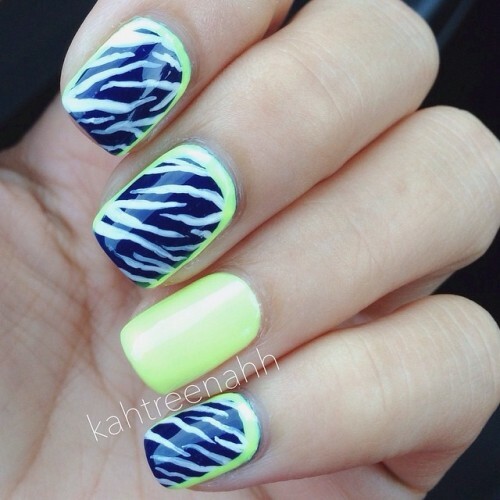 I used Born Pretty Store Fluorescent CH 15 on my ring finger and to border the nails, China Glaze’s Bermuda Breakaway, & Orly Instant Nail Artist paint in Crisp White for the zebra print. The Flourescent CH 15 polish is actually much, much brighter irl, my pictures show no justice. It's so washed out in my photos ... :( I did, however, swatch it a while ago; here is a link to the swatch if you're interested. 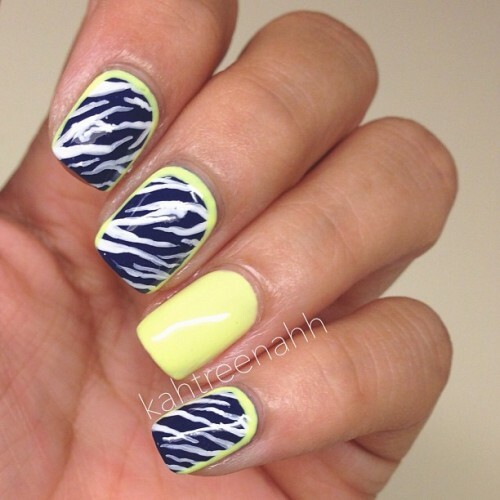 This neon yellow!!! Pure love *__* Your nail art looks awsome Katrina! That phone case looks hot! !